“The Greeks gathered against me, back then, in the Chashmonaim days, and they breached the walls of my towers…” (Ma’oz Tzur). 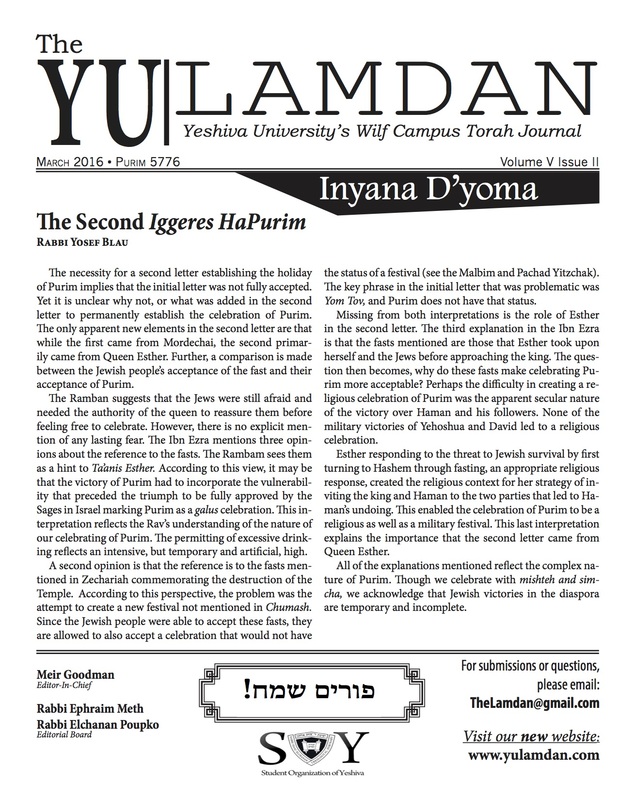 The Mishnah (Middos 2:3) writes that gentiles may not enter the innermost parts of the Beis haMikdash. A barrier, called the soreig, was erected to delineate the threshold beyond which gentiles could not pass. When the Greeks entered the Temple, in indignation over this law of ours, they cut thirteen breaches in the soreig. When the Chashmonaim retook the temple, they enacted a law that anyone who passed one of the breaches should bow to Hashem in thanks for our victory over the Greeks. Is the law forbidding gentiles from entering the inner recesses of the Temple still in force nowadays? Although the Rambam and the Ra’avad (Beis haBechirah 6:14-15) seem to disagree about whether the Temple Mount retained its sanctity after the Temple’s destruction, the Mishnah Berurah (561:5) rules that it did indeed retain its sanctity. Along similar lines, R. Kook (Mishpat Kohen 96) writes that, absent a clear consensus on the issue, as far as biblical laws are concerned, we must follow the stringent opinion, namely, that the Temple Mount’s sanctity is still in force. R. Ovadiah Yosef (Yabia Omer 6, YD 26) cogently notes that the Temple Mount still has some sanctity, but not the same level of sanctity as it had in the Temple eras. Finally, the Tzitz Eliezer (vol. 10, no. 1, ch. 9) suggests, based on a Biblical verse, that in the Ra’avad’s times, the gentiles’ dominion over Eretz Yisrael had temporarily removed the Temple Mount’s sanctity and the laws associated therewith. However, now that Jews once again own Eretz Yisrael, the sanctity and its attendant laws have returned to their former force. R. Ovadiah Yosef (ibid.) cites an interesting dispute concerning gentiles’ permission to ascend Temple Mount. Some authorities maintain that Jews must prevent gentiles from entering the consecrated spaces of Temple Mount, but, should the gentiles defy the Jews’ authority, the gentiles do not transgress and are not punished. Based on this, the Tzitz Eliezer (ibid. ch. 10) writes that Jews may have a responsibility to persuade gentiles to leave the Temple Mount, such as by offering financial incentives if funds are available. In contrast, other authorities believe that Jews have no responsibility to prevent gentiles from ascending; rather, the gentiles have a responsibility, each one to himself, to avoid transgression and divine retribution by refraining from entering the Temple Mount’s consecrated spaces. Based on this, Jews need not expend any energy to dissuade gentiles from ascending. All agree, however, that we may not encourage gentiles to enter the consecrated spaces, either because this would constitute neglect of our own responsibility, or because this would run afoul of lifnei iver, the prohibition against encouraging others to transgress. Furthermore, all agree that gentiles are only rabbinically forbidden from ascending Temple Mount. This, however, begs the question: if gentiles were not adjured as part of their seven mitzvos to heed rabbinic legislation, how can they be bound by such legislation from entering inwards of the soreig? Indeed, it is this very question that compelled the afore-referenced authorities to conclude that the prohibition devolves not on the gentiles, but on us. R. Elchanan Wasserman (Kovetz Shiurim, vol. 2, Kuntres Divrei Sofrim), though, notes that the Talmud in many places accepts without challenge the premise that rabbinic legislation binds gentiles as firmly as it does Jews. Hence, R. Elchanan writes that natural law demands that all people, Jews and gentiles alike, heed rabbinic legislation. Jews, therefore, have no responsibility to prevent gentiles from ascending Temple Mount, despite the Mishnah Berurah’s ruling that the Temple Mount’s sanctity is still in effect.